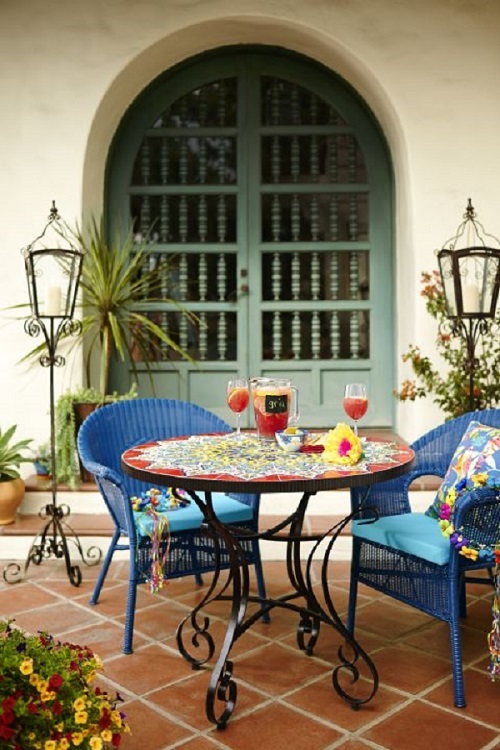 With warm summer days on the horizon, it’s time to prep your patio and porch for outdoor entertaining. 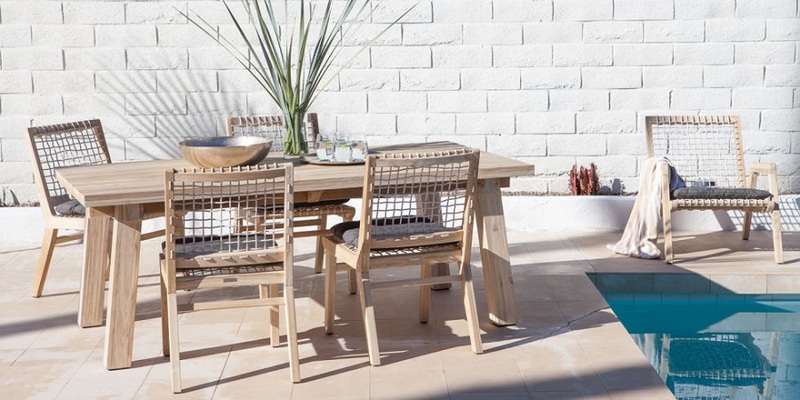 The cold, modern concrete look is on its way out, as is wrought iron and plastic faux-wood furniture. 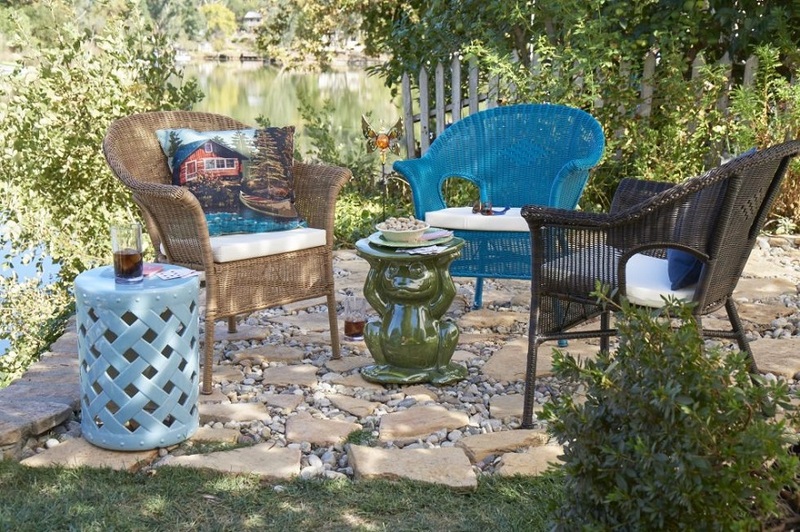 This season, it’s all about natural materials, retro-inspired style, and cool, soothing colors. Here are the top trends you’ll be seeing everywhere in summer 2017. One sure way to bring the indoors out? 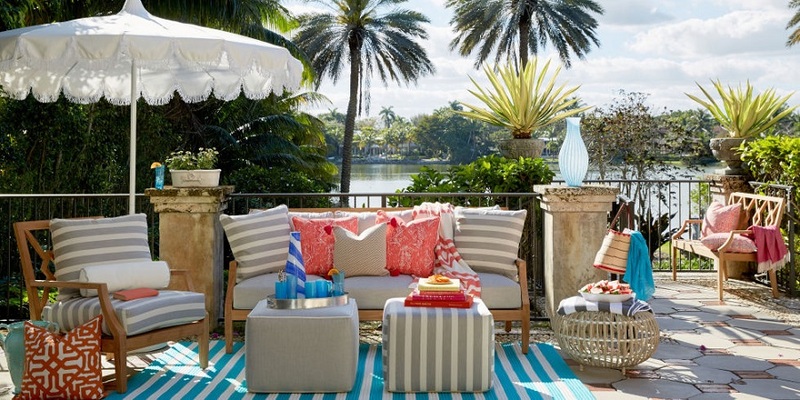 With splashy patterned pillows. 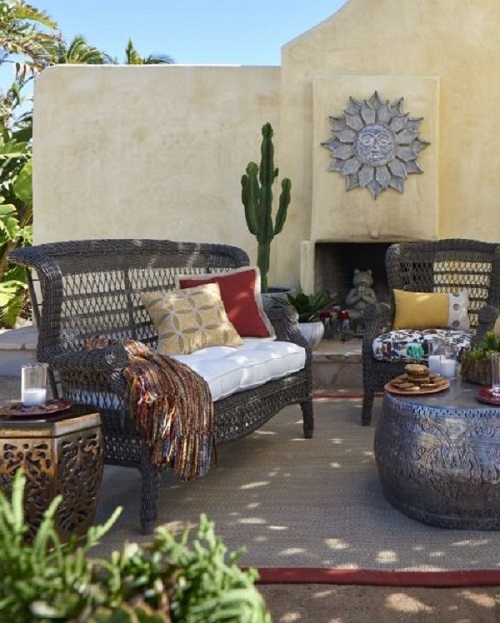 Stores are offering more and more options for cozying up your backyard (these from One Kings Lane—also featured at the top of this page—are our favorites). The best part: They can easily be switched out as time passes and trends come and go. Forget overly ornate wrought iron and plastic faux-wood furniture. 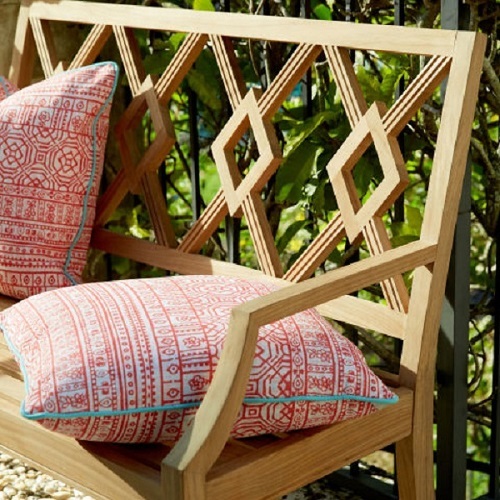 “One of the big trends we’re seeing is the emergence of a retro feeling,” says Maureen Welton, Creative Director at Article, which recently launched an outdoor collection. 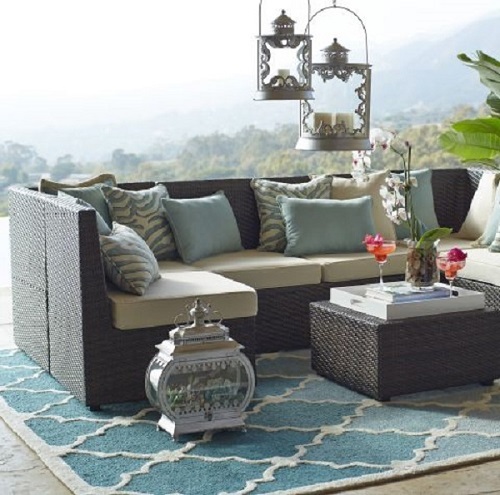 “People are going back to natural, woven styles and crochet techniques that add texture to any space. 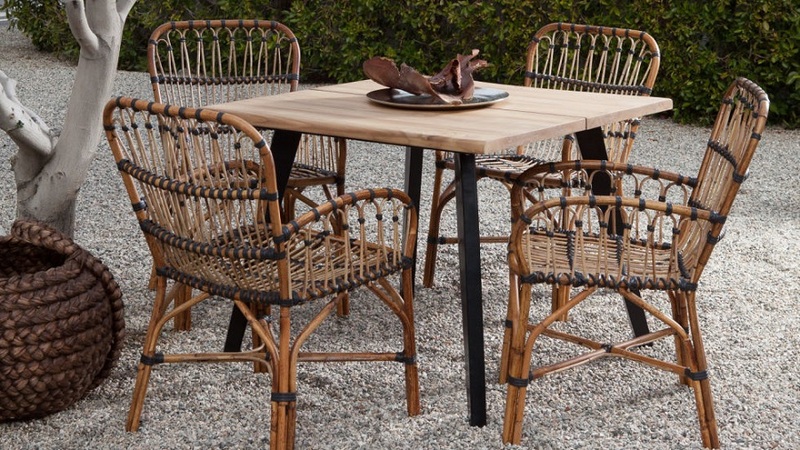 What was popular in the ’70s—like rattan and wicker-inspired furniture—is making a comeback.” And it’s not just outside: We’re seeing rattan indoors as well. We know, we know: Florals for spring and summer? Not exactly groundbreaking. 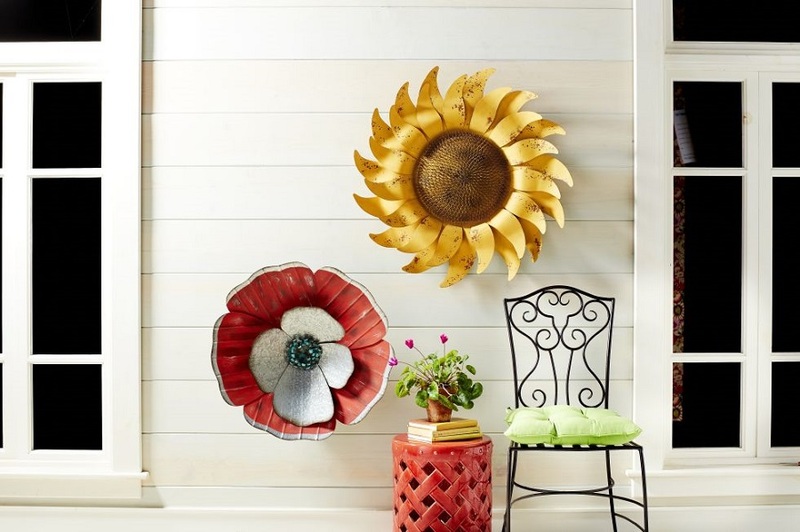 But this season, look for new, surprising ways to incorporate them, like these super-fun galvanized wallflowers from Pier 1. This is one vintage style we will be glad to welcome back. “Mosaic tables continue to be a huge trend for both dining and accent tables, in materials from natural stone, to ceramic and glass,” says Simon.